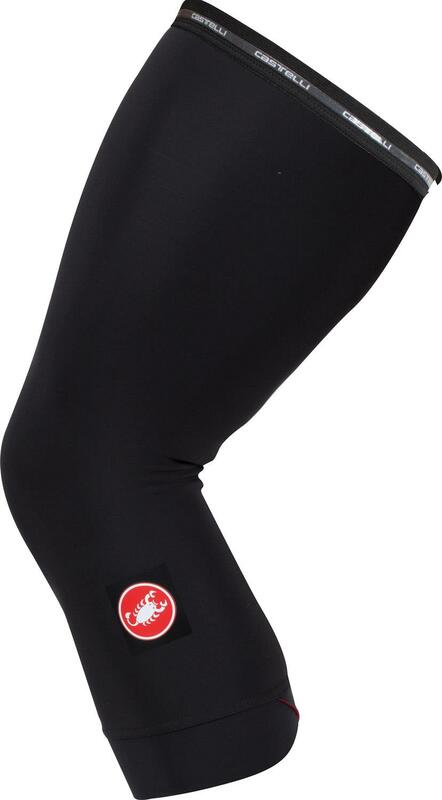 When Castelli designed the Thermoflex kneewarmers they concentrated on getting everything just right. The Thermoflex fabric is extra warm and stretchy, the close fit eliminates any excess fabric and the silicone grippers at the top prevents the warmers from gradually slipping down. With a cross-wrap cuff at the bottom Castelli have included an extra touch of comfort while subtle branding lets your cycling friends know you’re wearing kit made by one of the premier clothing brands in cycling. I am short. Really short. 165cm tall. These are too long for me so I wear them like leg warmers. Super high quality. These kneewarmers ooze quality. Double sided grippers will keep them up nicely. No specific info on sizing on Merlin but other sites say Large is for sprinters 75 - 90kg. I am 71kg and these fit me great in a L!! Castelli products are awesome, form-fitting and sized just right, especially for someone who is vertically-challenged/short/small like me! The quality of fabric is superb as well and Italian styling goes a long way in my book. I'm very happy with my purchase.